Product prices and availability are accurate as of 2019-04-19 16:35:09 UTC and are subject to change. Any price and availability information displayed on http://www.amazon.co.uk/ at the time of purchase will apply to the purchase of this product. 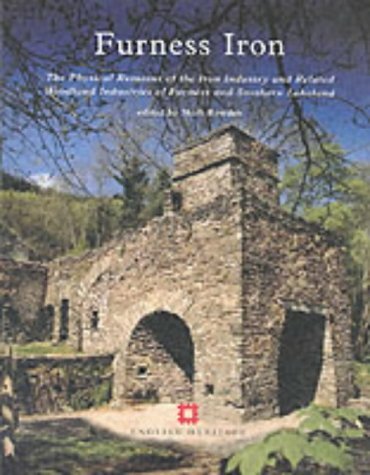 We're very happy to list Mark Bowden's Furness Iron: The Physical Remains of the Iron Industry and Related Woodland Industries of Furness and Southern Lakeland (published by English Heritage) in our Lake District Industry section. Cumbria's Lake District as we see it now has been extemsively shaped by centuries of industrial activity. One of these industries, especially in the south of the Lake District, around the Duddon estuary and on the Furness Peninsula is iron - mining and production. This book (Furness Iron, by Mark Bowden) contains much that will help readers understand one of the important historic industries of this region.